Our right to privacy in this media centric world is one of today’s most important and pressing social issues. We need art to reflect our fears and concerns but this story of a photographer who captures a candid photograph of the First Lady doesn’t have the necessary intellectual rigour to inspire discussion on the issue of privacy and our ever developing relationship with the media. Instead its discussion boils down to some people saying ‘well it will be nice to have some money but isn’t selling such a photograph a naughty thing to do?’. It’s simplistic perspective is disappointing, but when combined with such poor production values it’s also incredibly frustrating. All of this film’s problems start with the script. Borneman may have aimed for great things but he has fallen oh so very very short. The premise is clichéd, as is the execution, the plot’s attempts at twists, its character development, its themes and of course the dialogue. I really do think a child could generate more natural sounding dialogue and believable characters. Ah, and then there is the twist at the end. Now normally I wouldn’t cover any sort of twist on a spoiler free review but the film’s marketing people have made a big noise about this and frankly it doesn’t affect the film’s plot in any sort of meaningful way, or indeed in any way. It’s just so juvenile and ridiculously unwarranted, unearned and unnecessary that it made me want to beat my head against the wall until I passed out a bloody mess. In case you couldn’t guess, this film is enraging. It’s shoddy sound design, lighting, acting and writing combine together to make a film which both feels laborious and amateurish. 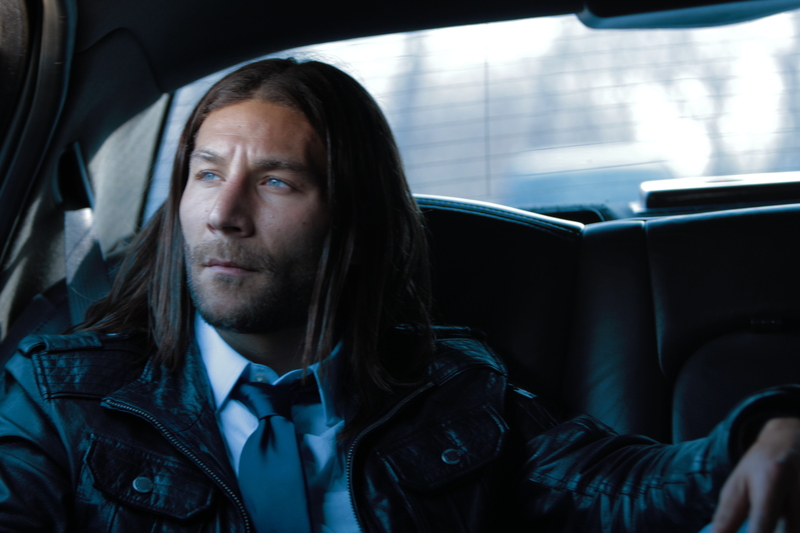 The one dim ray of hope which Snapshot clings onto is its lead actor Zach McGowan. Most known for his roles on Black Sails and Shameless he brings a likeable and easily relatable air to his character which allows us to actually have some level of investment in the story. Having said that this isn’t a performance which he will be keen to put on his resume because, as much as he does a decent job, he is severely hampered the film’s other elements. In a more competent film his work here wouldn’t be a stand out feature. So there’s not a whole lot to like here. To its credit Snapshot does set out on a noble quest to meet an issue which needs to be discussed, and I like it for that. But it’s execution couldn’t have been worse; even if the political discussion wasn’t so weakly handled it would still have been lost amongst the film’s many unnecessary off-shoots, its poor camera work and what’s often very poor acting. I would only really recommend this one to you if you’re either a masochist or a huge fan of somebody involved with the production and wish to test your loyalty to them and their work. What this experience has taught me though is that there are filmmakers out there who still want to talk about the issue of privacy and who can get enough people together in order to actually make a film. Now we just have to wait for one to come along which is competent…. What is the film’s greatest strength? Zach McGowan keeps this one from completely sinking. Its greatest weakness? It’s the script which is most at fault. Would I see it again? I don’t think I could give a clearer or more heartfelt no.